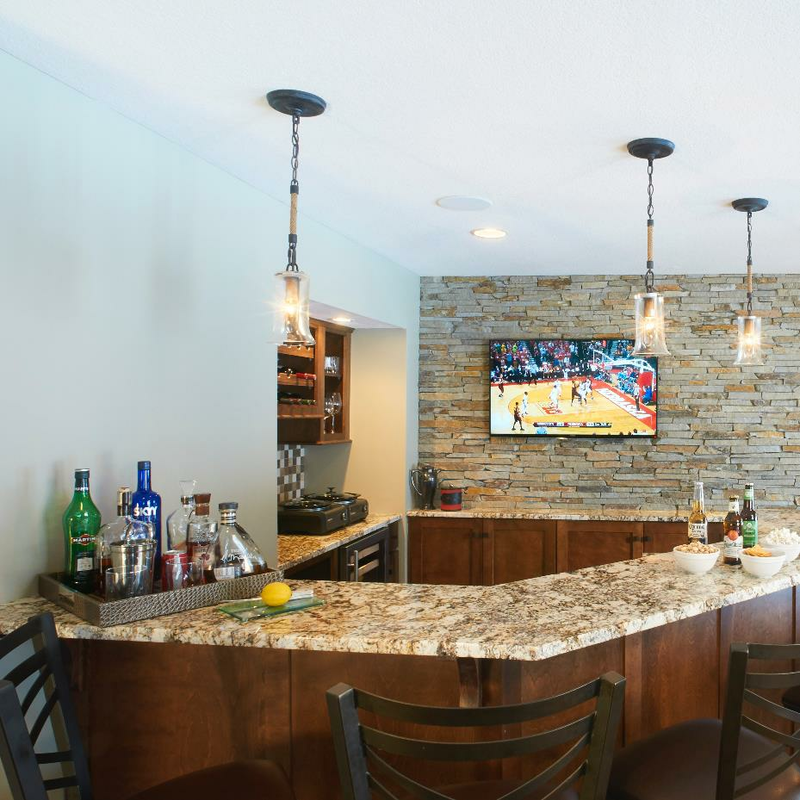 This active family of four loves to travel to Colorado, so we gave their basement a lodge-like redesign. 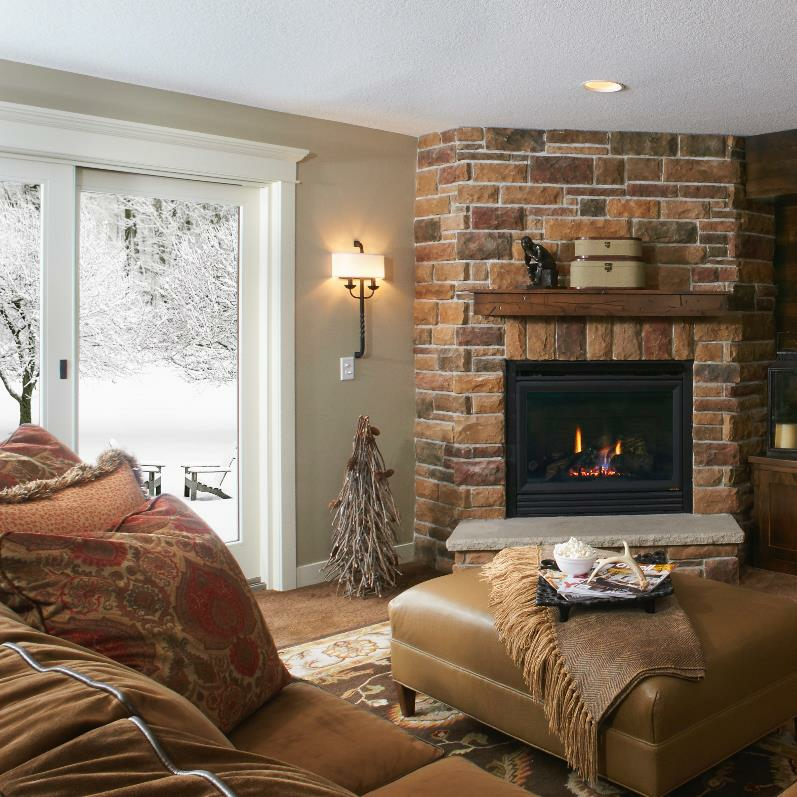 The wood wall and custom mantel above the original brick fireplace adds rustic charm. 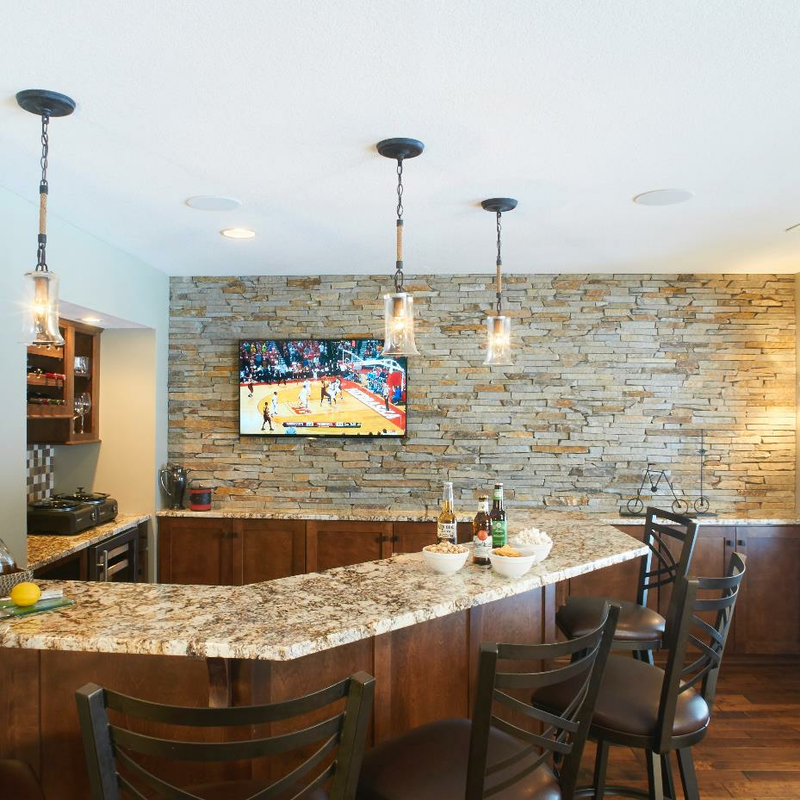 The earthy tones on the walls and furnishings also give it an outdoorsy vibe. 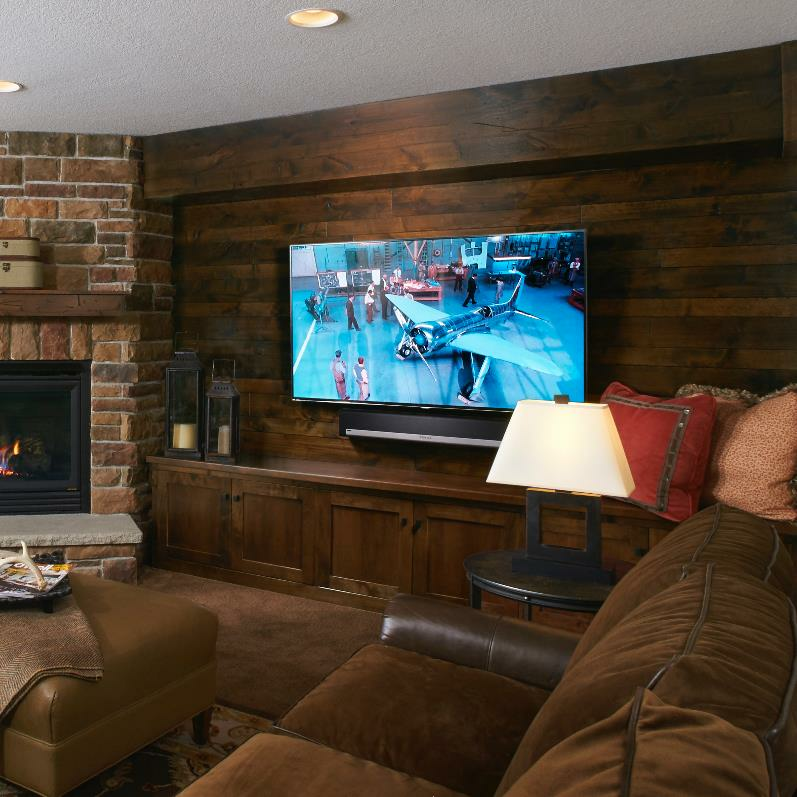 The large deep sectional accommodates seating for ten people, providing plenty of space for movie and family time.